This recipe has both of my favorite dishes combined into one. 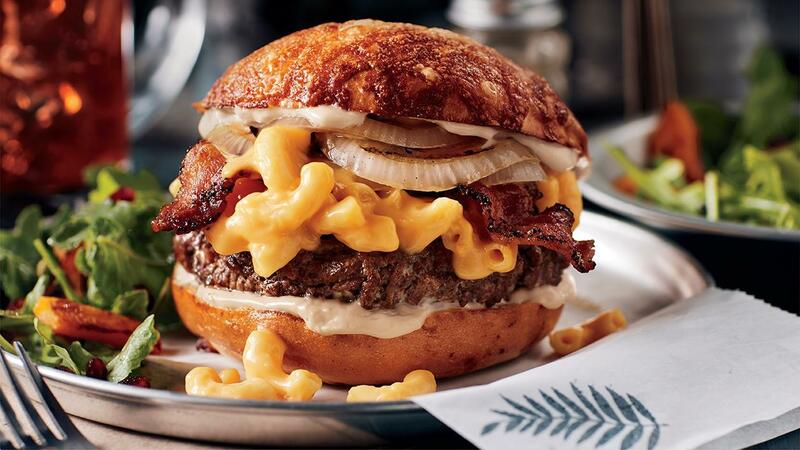 Creamy macaroni and cheese on top of a beef burger. Grilled onions and a crazy good smoky tomato mayo sauce rounds it off nicely. A great special for any weekend menu. Down load the recipe here! Combine Best Foods Real Mayonnaise, Knorr BBQ Sauce , Knorr Italian Tomato Sauce and whisk until smooth. Reserve refrigerated. To assemble, spread smoky mayo on each side of the bun, then add grilled beef patty. Now put macaroni and cheese, two slice of bacons, and onion. Serve to very hungry customer.